CHANEL and the Ritz Paris have more than one thing in common. There is the Coco Suite, of course, still filled with the trail of Mademoiselle. But, more so, there are the souls of two Houses, their spirits linked by a certain idea of refinement, art of living and careful attention. Delicate and seemingly simple creations meet the meticulously discreet service of a premium hotel to extend the same invitation to luxury: the rarity of a moment suspended in time. CHANEL decided to declare its vision of beauty at the Ritz Paris. A singular approach that invites women to discover and reveal their own personal allure. CHANEL treatments are a promise of self-confidence. And the expression of a resolute aim: to make beauty glow from within. The art of skincare by CHANEL is built on a vision nurtured from the very origins of the House: to craft each creation, paring it down to its ultimate essence. A philosophy that encourages us to fine-tune a treatment until reaching its purest form and to innovate by using techniques and means that are thoughtfully designed and continuously reworked. It is also based on a demand for a certain perfection: that of an essential treatment that draws its power from its understated form. Each CHANEL treatment bears the mark of this singularity. Much more than traditional facial treatments, CHANEL treatments are exceptional me-time moments that reconcile body and mind. Each treatment is an experience suspended in time, an energetic renewal. 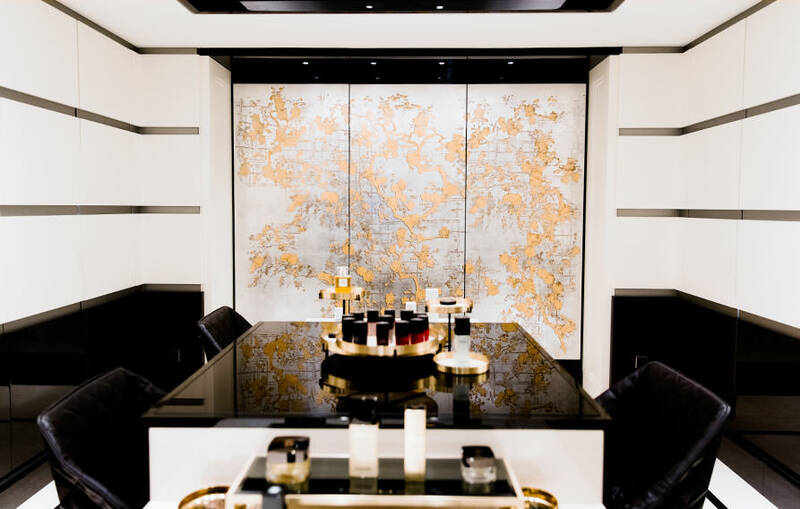 CHANEL treatments are caringly performed by treatment creators who take the time to understand each person’s needs and wishes during an in-depth conversation. This allows them to compose a customized procedure that showcases all the expertise of CHANEL. 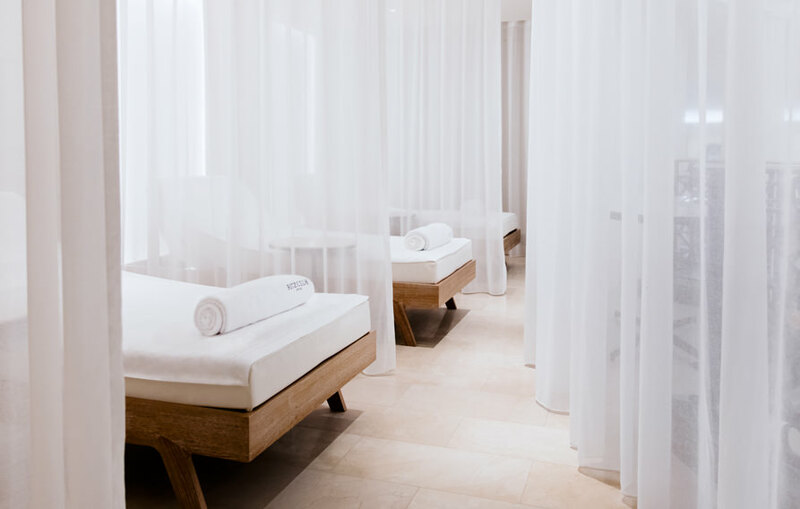 CHANEL au Ritz Paris treatments are a fulfilled promise of skin that glows with healthiness and dazzles with beauty, an immediate feeling of well-being that lasts and grows over time. At the heart of the treatment philosophy, Le MASSAGE de CHANEL reinterprets the most effective Western and Eastern techniques and combines them for the first time with a gentle method that acts on fasciae. These thin and very sensitive membranes envelop the entire internal structure of the body and are the first to be affected by stress, which causes tension in the face and body. By paying close sensorial attention to these tissues, Le massage de CHANEL acts directly where the body needs it. It reactivates the body’s vitality and creates a feeling of serenity essential to well-being and flourishing beauty. By uniting Le MASSAGE de CHANEL, CHANEL skincare products and exclusive products, CHANEL treatments offer the ultimate response to each individual’s needs of effectiveness and sensoriality. 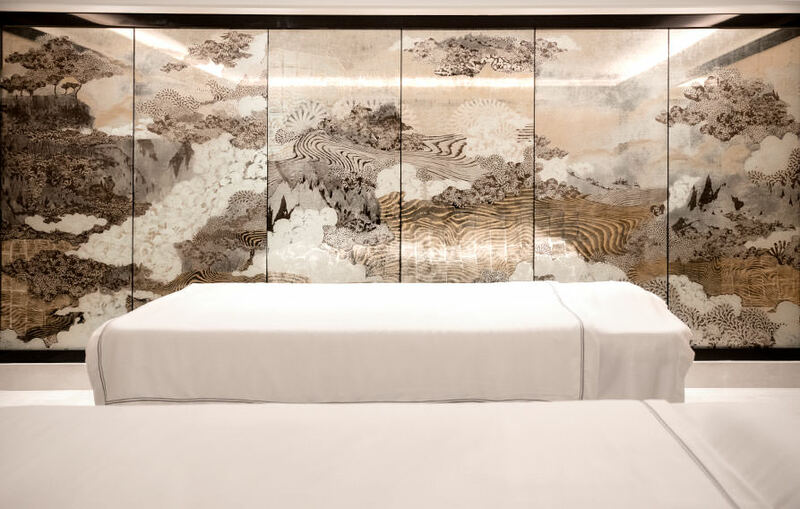 The precise pressure of an expert hand, the pleasure of a reassuring olfactory world and the delicate delight of a beneficial drink are joined by a tailored music and light design that accompanies the body’s natural biorhythms to deliver deep relaxation. A holistic approach that awakens all of the senses.